This collapsible flash drive is not specifically designed for Castles & Crusades, but it sure has our fancy logo on it! With ONE gigabyte of space on it you can store all manner of cool files. 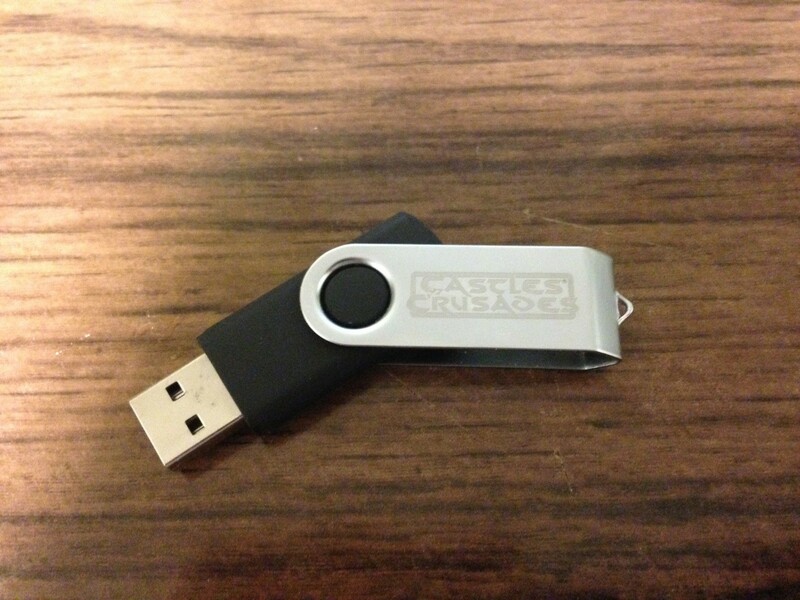 In fact, you can download the digital files for the entire C&C digital library and store them on our flash drive. Saving digital files, copying digital files, throwing at the Castle Keeper, throwing at the player, replacement for air hockey puck, propping up small boxes to create very small mouse traps, a non functional boomerang. The uses are limitless!